Edwards, S. (2009). Neotropical Aristolochiaceae. Lianas or vines, rarely herbs or shrubs, usually rhizotamous, odorous. Stems terete often with corky bark on older stems. Leaves alternate , distichous , simple , entire , cordate to linear with sagittate or hastate lobes, occasionally 3- lobed , often palmately veined ; pseudostipules sometimes present. Inflorescences fasciculate , racemose or rhipidia or helicoidal cymes, axillary or cauliflorous . Flowers bisexual , zygomorphic , protogynous; perianth formed of 3 fused, petal -like sepals, often 'S' or 'U'-shaped, inflated with utricle at base, narrowing to tube, expanding into 1-3 lobed lamina limb at apex , purple, red, yellow or pink, often mimicking rotting flesh; petals absent; stamens 5-6, single whorl fused to styles to form (3,5)6-(12) lobed gynostemium; ovary inferior, twisted, carpels 5-6, syncarpous, locules 5-6, placentation submarginal, ovules usually numerous. Fruits dehiscent capsules, septicidally or septifragally, acropetally (hexandrous Aristolochia L.) or basipetally (pentandrous Aristolochia and Isotrema Raf. 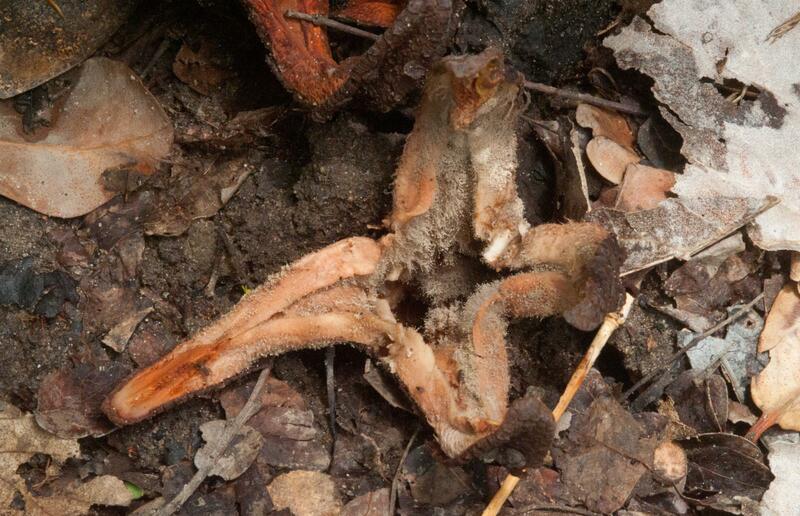 ), opening into a basket-like shape. Seeds usually numerous, winged or with sticky aril ; embryo small, weakly dicotyledonous; endosperm abundant, oily, sometimes starchy. 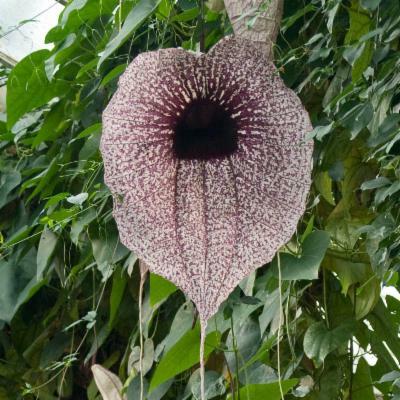 Aristolochia: Throughout the Neotropics (subsect. Pentandrae Duch. Mexico and Caribbean; subsect. Hexandrae (Duch.) F.González throughout the Neotropics). Zygomorphic, aromatic often foetid flowers (can be actinomorphic in other geographical areas). Capsular fruit, usually numerous, winged or arillate seeds. Although the genus Isotrema was split from Aristolochia by Rafinesque in 1819 botanists have disagreed as to whether these are two genera or one. The debated synonymy between the genera Aristolochia and Isotrema reflects their morphological similarities. The most visually obvious characteristic setting Isotrema apart from Aristolochia is its 3-lobed calyces, Aristolochia having 1-2-lobed calyces. 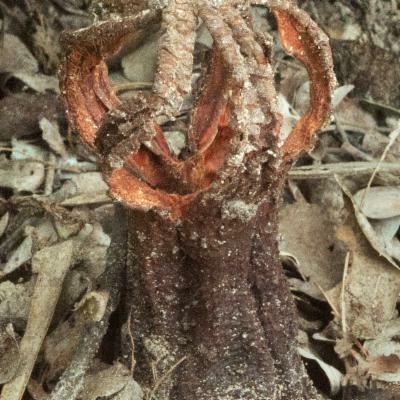 Plants in the family Aristolociaceae contain aristolochic acids. These have been used in traditional Chinese medicines e.g. Isotrema manshuriense (Kom.) H. Huber or in Chinese Mu Tong or Guan Mu Tong for the treatment of mouth ulcers, oedema, urinary problems and arthritis. The use of I. manshuriense (Kom.) H. Huber has been banned in Europe since 2001 and in China since 2003 due to the aristolochic acids being found to be carcinogenic, nephrotoxic and mutagenic. 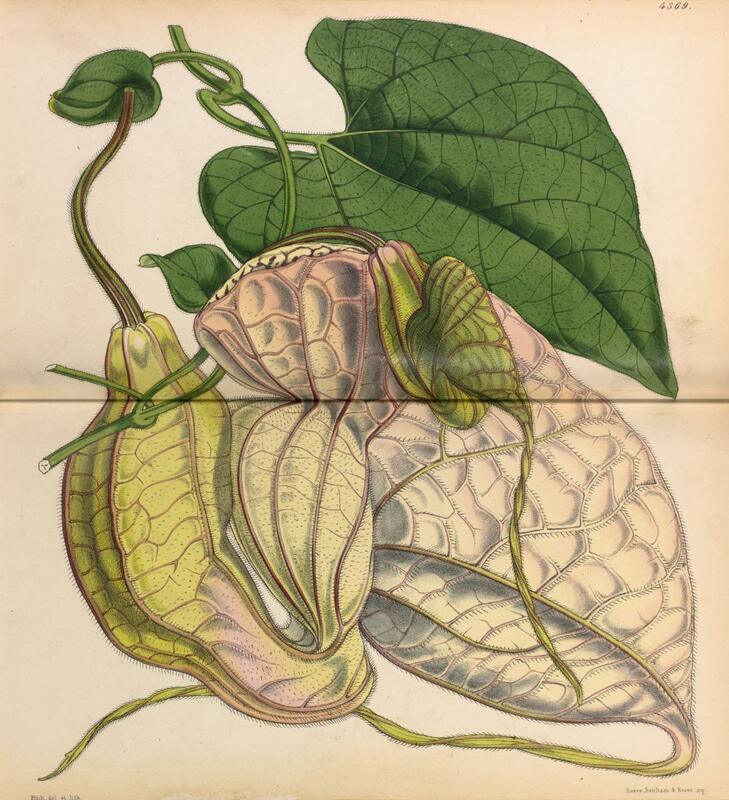 In European herbal medicine Aristolochia clematitis L. was traditionally used to aid child birth. 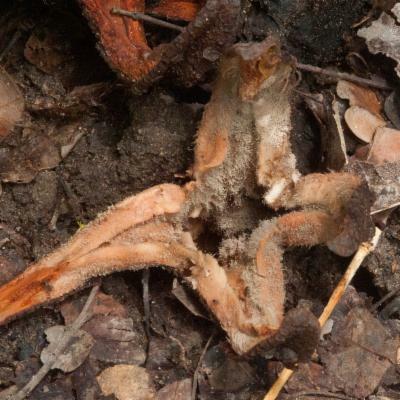 In America species of Aristolochiaceae have been used to treat snake bites which lead to one of its common names of Snake Root. 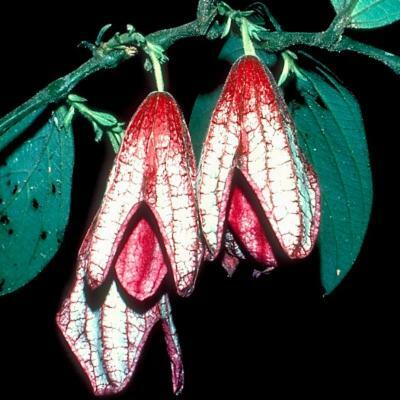 Aristolochiaceae are fly pollinated which probably led to the evolution of their floral shape. 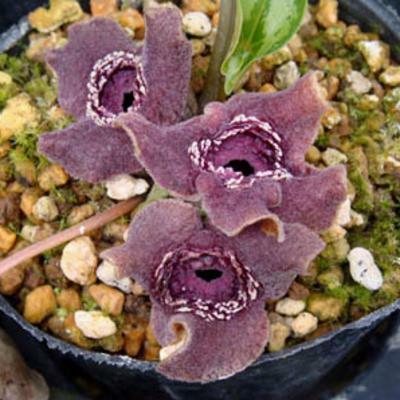 The structures of their flowers are similar to the flytrap mechanisms found in the carnivorous genus Nepenthes L. However, whereas Nepenthes digests the insects as a means of adapting to environments with poor soil, Aristolochia and Isotrema simply make use of them for pollination. The flies are attracted by the 'alluring', putridscent of the flowers and pass through the smooth, waxy 'slide zone' on the limb of the flower (Upson & Brett, 2006). At the base of this zone they become trapped in the utricle, an inflated part of the perianth, by the retrorse hairs at its entrance. The insects pollinate the stigmas as they enter the utricle, remaining there until the stamens have ripened and deposited pollen on them as the flower withers. Meanwhile the flies are kept alive with supplies of nectar from trichome nectaries that are usually present in the utricle (Gonzalez, 1994). 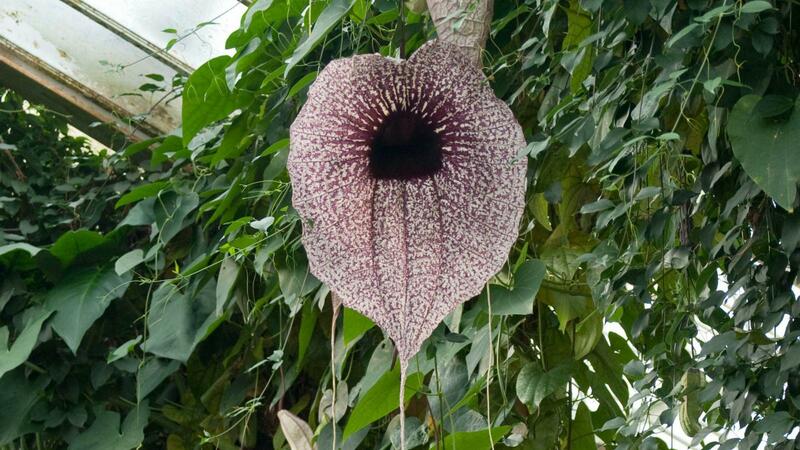 Most Aristolochia and Isotrema flowers wither after about 24 hours, and as they do so the retrorse hairs that trapped the insects lose their turgidity, releasing them to pollinate more flowers (Petch, 1924). Caterpillars of some swallowtail butterfly species and several other species of butterflies feed on the leaves, shoots and flowers of Aristolochia and Isotrema. The caterpillars can tolerate and sequester the aristolochic acids which are believed to render them poisonous to predators (de Padua et al., 1999). Aristolochiaceae is currently in the order Piperales because it has trimerous flowers, monosulcate or inaperturate pollen and adaxial prophylls. This order of dicotyledons is close to the monoctyledons also because of the trimerous flowers and pollen structure. 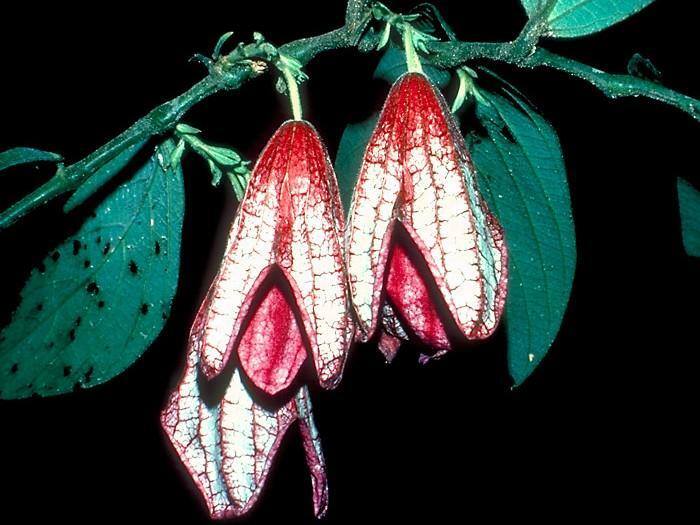 It has been thought to be close to Annonaceae because the flowers have several carpels, oil cells and the well developed petals of Sauruma, although the genera found in Central and South America do not have petals (González, 2000). The gynostemium, perianth and inferior ovary with many ovules make it similar to Rafflesiaceae. However, this is a distinctly characteristic family. Cronquist considered it to be in a monofamilial order of it's own: Aristolochiales. De Padua, L.S., Bunyapraphatsara, N. & R.H.M.J. Lemmens. (1999). Plant Resources of South-East Asia 12(1). Medicinal and Poisonous Plants 1. Backhuys Publishers, Leiden. Feuillet, C. & O. Poncy.1998. Aristolochiaceae. In: A.R.A. Görts-van Rijn & M.J. Jansen Jacobs (eds), Flora of the Guianas 10. González, F.A. 1990. Aristolochiaceae. Flora de Colombin 12. González, F.A. 1994. Aristolochiaceae. In: G. Harling & L. Anderson (eds) Flora of Ecuador 51. 1-42. González, F.A. and D.W. Stevenson. 2000. Perianth development and systematics of Aristolochia. Flora 195: 370-391. González, F.A. 2004. Aristolochiaceae, In: N. Smith, S. A. Mori, A. Henderson, D. W. Stevenson & S. V. Head (eds. ), Flowering Plant of the Neotropics: 31-33. Princeton, Princeton University Press. Petch, T. (1924). 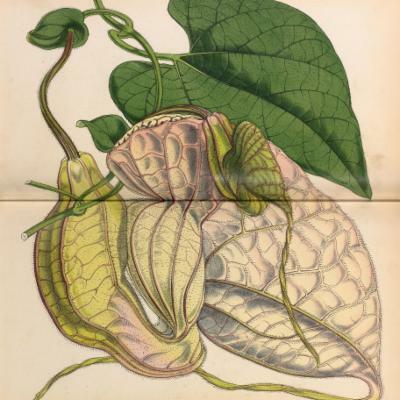 Notes on Aristolochia. Annals of the Royal Botanic Gardens,Peradeniya 8: 1-108. Pfeifer, H.W. 1970. 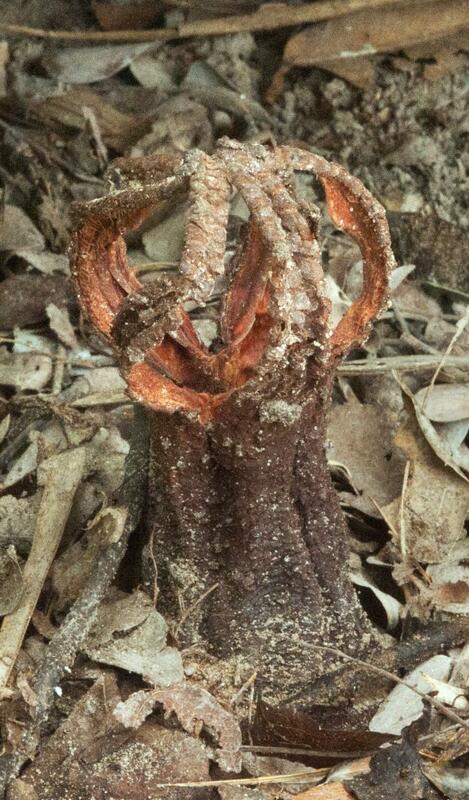 Taxonomic Revision of the Pentandrous species of Aristolochia. The University of Connecticut Publication Series. Upson, T. & Brett, R. (2006). 554 Aristolochia cathcartii. Curtis's Botanical Magazine 23; 1:84-90. Every, J.L.R. (2010). 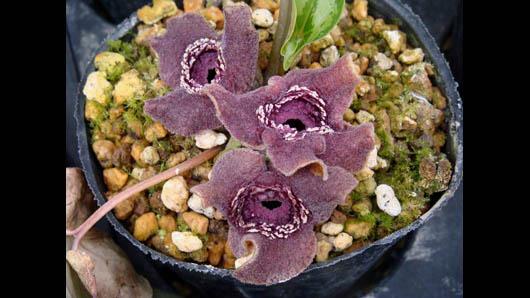 Neotropical Hydnoraceae. Leafless, echlorophyllus, root -parasitic herbs; roots rhizome -like. Flowers from rooting body (frequently semi-subterranean), large, solitary, bisexual , regular, thick, fleshy , brownish, rugoes on outer surface, coloured on innder surface; tepals 3 - 4 , valvate , sepaloid, basally connate ; stamens equal in number and opposite to perianth parts, staminodes 3, alternating with anthers, anthers connate forming a dome or cap with a small central opening; ovary inferior, syncarpous, unilocular, carpels 3-5, ovules numerous in three groups, stigma sessile . Fruit sweet-smelling, coriaceous berry , woody pericarp splitting irregularly. Seeds small and numerous (500 - 90,000). Currently placed within the Piperales alongside the aquatic Saururaceae, the Piperaceae Lactoridaceae - which are restricted to the Juan Fernandez Islands - and the family Aristolochiaceae (APGIII). One genus with four species: Prosopancheamericana (R. Br.) Kuntze, P. costaricensis L. D. Gómez, P. bonacinae Speg and P. caatingicola R. F. Machado & L.P.Queiroz. Defined by Lytton J. Musselman as 'The strangest plant in the World!'. Semi-arid areas of Brazil, Paraguay, Costa Rica, Tropical Chile and Argentina. Bizarre large, thick, fleshy, valvate flowers which emerge from the ground. Flower coloured brown on the outside and whitish inside. Anthers form a strange-looking dome with a small opening at the top. Apodanthaceae - very small, unisexual flowers. Balanophoraceae - fungus-like inflorescence with small numerous flowers. Boraginaceae (Lennoa Lex.) - scale leaves, superiorovary. Corsicaceae - small alternate leaves, zygomorphic flowers. Mitrastemonaceae - whorl of opposite-decussate leaves and a superiorovary. Orobanchaceae - zygomorphic flowers on racemes or spikes. APG III. 2009. An update of the Angiosperm Phylogeny Group classification for the orders and families of flowering plants. Botanical Journal of the Linnean Society 161(3): 105-121. Heywood, V.H. 2007. Hydnoraceae. In: V.H. Heywood, R.K. Brummitt, A. Culham and O. Seberg (eds.). P.169. Flowering Plant Families of the World. Royal Botanic Gardens, Kew. Musselman, L.J. & Visser, L.J. 1986. The strangest plant in the World!. Veld and Flora 71: 109-111. Musselman, L.J. 2004. Hydnoraceae. In: Smith, N., Mori, S.A., Henderson, A., Stevenson, D.W. and Heald, S.V. (eds.). Flowering Plants of the Neotropics. Pp. 187-188. The New York Botanical Garden, Princeton University Press, Princeton. Nickrent D.L., Blarer A., Qiu Yin-Long, Soltis D.E., Soltis P.S., and Zanis M. 2002. Molecular data place Hydnoraceae with Aristolochiaceae. American Journal of Botany 89:1809-1817.